Our 3D Cardboard / Plastic Stand-Ups are perfect for when you want a scene or character to stand out. Each 3D Cardboard / Plastic Stand-Up works perfectly with all other Creative For Kids Products to add an extra dimension to your decorating needs. Display your 3D Cardboard / Plastic Stand-Ups in entry foyers, classrooms, hallways, and check-in areas. Great for portable churches because 3D Cardboard / Plastic Stand-Ups are light weight and easy to set up, tear down and store. 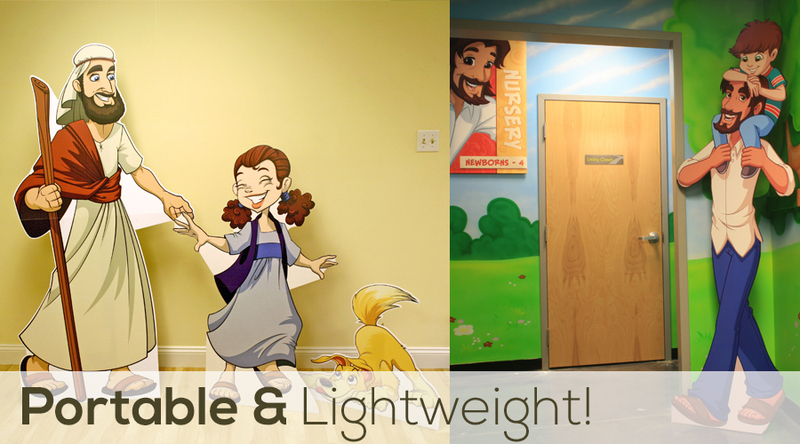 3D Cardboard / Plastic Stand-Ups are perfect for promoting your Children's Ministry!